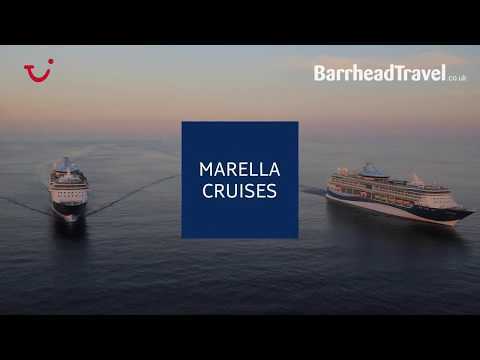 Barrhead Travel are pleased to bring you Marella Cruises’ latest launch for Winter 2019 and Summer 2020 sailings! As part of this launch, Marella have announced 11 new itineraries, 6 new ports of call and they’re return to 3 ports which they haven’t visited in a while: Alexandria, Egypt; Istanbul, Turkey and Casablanca, Morocco. Each of the 11 new itineraries brings something different to the table from lakes to beaches and fjords to Medieval old towns. For the first time Marella will be sailing up the Panama Canal as far as Gatun Lake - an amazing experience and one to tick off the bucket list. The 5 other new ports of call also come packed full of their own unique charm: from the wicked vibes of Port Royal, Jamaica to the tranquil village of Nordfjord, Norway. There’s also the UNESCO-protected Medieval town of Visby, Sweden; the beaches, rainforests and tropical islands of Samana in the Dominican Republic and the picture perfect Sarandë, Albania. Not only this, but the entire Marella Fleet will be all-inclusive as standard from Summer 2019. So there really never has been a better time to book your next cruise with Marella and Barrhead Travel. With six ships in the Marella fleet ranging from adult-only to family-fun cruises and several popular destinations everyone can find their perfect holiday with Marella Cruises.